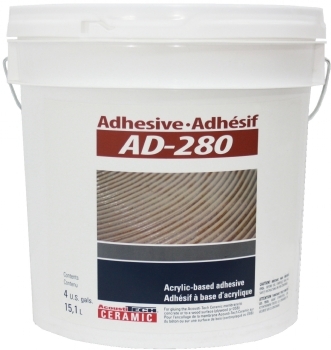 AD-280 is a professional-quality, acrylic based adhesive specially designed to glue the AcoustiTECH™ CERAMIC membrane. It provides quick and optimal adherence to concrete or wood (plywood or OSB). Use it to glue the AcoustiTECH™ CERAMIC membrane on a concrete or wood surface (plywood or OSB).